At $0.99 apiece, they’re steals. Why would you not buy them both? Recently recovered from a crippling illness, Leon Toa sets out on his first solo trip to Port Lowell. For any other Martian settler it would be a routine drive, but for Leon it’s a chance to rebuild his battered self-confidence and demonstrate his regained independence – both to his fellow settlers and to himself. When unseen forces interrupt his trip deep in an unpopulated and unexplored network of canyons, he must uncover the truth about his past before what’s left of his future runs out. An homage to H.P. Lovecraft’s “Within the Walls of Eryx”. In this Dispatch, freelance journalist Calvin Lake explores the unlikely truth behind the worst industrial accident in Martian history: the destruction of Mars Environmental Works. Going beyond the bare facts and curiously self-interested evasions of the official Mars Development Authority inquest report, Lake’s account uses exclusive eyewitness and survivor interviews to paint a fuller picture of the catastrophe of April 1, 2050. A pun-ridden spoof of several science fiction tropes. The next short story will be another of Calvin Lake’s Dispatches, this one concerning entrepreneur Jedediah Thoreson and his North Cap Water Pipeline project mentioned in Anatomy of a Disaster. Unlike that story, Pipeline will be a serious treatment of its topic. The Dispatches will be a series of essays on various aspects of life on Mars in the Ares Project fictional universe, written by fictional freelance journalist Calvin Lake (who will also play an important role in the upcoming Ghosts of Tharsis). We have 4.5 billion tons of uranium in seawater. Half of that amount is enough to power nuclear plants worldwide for 6,500 years. To begin, extracting seawater uranium is harder than mining from land reserves as it involves a process called “adsorption,” in which atoms, ions, or molecules adhere to a surface. Scientists have been designing different materials to serve as that surface that, when submerged in seawater, will “adsorb” uranium and hold it for extraction. Keeping these materials cost-efficient is important in relation to keeping the costs of seawater uranium low. Now, the DOE team has developed new adsorbents that brought the costs of seawater uranium extraction down by three to four times and in just five years. Note that this is in addition to the vast stockpiles of depleted uranium we have from Cold War nuclear weapons production, which (along with spent fuel from conventional reactors) can be used in CANDU-type plants. So why are we wrecking the environment mining and refining rare-earth metals, making toxic and short-lifetime photovoltaics, and covering pristine landscapes with windmills and PV panels? 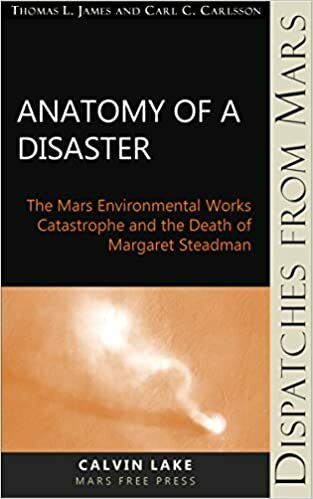 "Anatomy of a Disaster: The Destruction of Mars Environmental Works and the Death of Margaret Steadman" -- Calvin Lake investigates the unlikely chain of events behind the largest industrial cat-astrophe in Martian history. Recently recovered from a crippling illness, Leon Toa sets out on his first solo trip to Port Lowell. For any other Martian settler it would be a routine drive, but for Leon it's a chance to rebuild his battered self-confidence and demonstrate his regained independence - both to his fellow settlers and to himself. 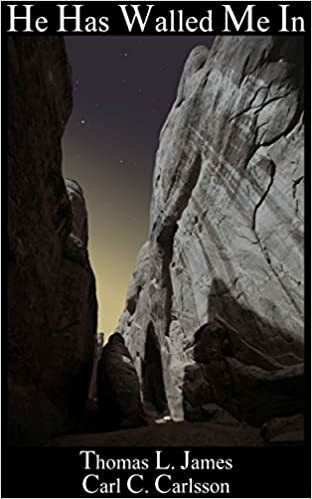 When unseen forces interrupt his trip deep in an unpopulated and unexplored network of canyons, he must uncover the truth about his past before what's left of his future runs out. A young girl sets out to prove herself by resolving a long-forgotten mystery. But when she gets close to the truth, what she thought was a harmless adventure becomes a threat to the future of the independent commercial settlements on Mars. Review – The Martian | In the Shadow of Ares on Will The Martian Have a Message?